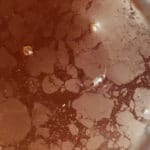 Some of you may know I make a lot of sour and funky meads, and dish out lots of advice (even when unwarranted), on many of the homebrewing outlets online, such as Reddit, Homebrew Talk, and Got Mead. The amount of knowledge I’ve gained in the sour mead area is becoming immense, and about two years ago, I started compiling all of the information I had into Google Docs. Now I’m getting to the point where I’ll post a wall of text on a sour mead question, and I still feel like I didn’t say enough. It was time to think about a book. I likely won’t get a publisher for it, as it’s a niche within a niche, and not one so large as the sour beer front. However I’ve decided to move forward and either get a publisher, or self publish the book. I’m looking to have the book totally completed sometime in 2017, and figured now was the best time to let everyone know, as I reach the final stretch of a first draft, and move onto editing fundraising, more editing, and printing. If you’re interested in the book, look for a Kickstarter sometime in 2017, which will be the best way to get your hand on a copy for the immediate future. Above is a screenshot of what the inside might look like if self-published, with a small preview of the current Table of Contents (subject to change of course). I’ll have more previews available as I get closer to launching a fundraising / general interest campaign. Basic meadmaking introduction (what homebrewing book would be complete without it?). Information on how the above works in mead environments, and how to manipulate their strengths and limitations to your advantage. 2 phase and 1 phase fermentation information (adding bugs in secondary vs fermenting with everything all at once). Bottling Wild Meads and when to Bottle them. More information than I can spill out in a bulleted list. An Interview with Jereme Zimmerman, Author of Make Mead Like a Viking, to get a great perspective of meadmaking with an ancient twist, and an introduction to using truly wild ferments (yeast harvested from the outside). 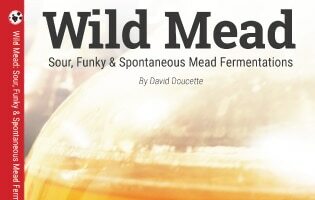 A survey of homebrewers who’ve made sour and funky meads, and their perspectives & experiences. 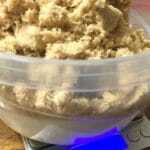 If you’ve ever read my Homebrew Talk articles, Blog, or Homebrew Supply Articles. I like to keep things as easy to understand as possible. If you’re reading the final book, and your eyes glass over and you begin to druel, that’s me failing you. I’m very happy to announce my progress with this project, and to start including the homebrewing community in it’s final form. If anyone has questions about it, or something in particular they’d like to see in the book, I’m happy to answer them.